Stamp Active Network are pleased to announce this year’s competition based on the philately of favourite things which could include places, people, hobbies, objects and much more….the possibilities are endless. Young people up to the age of 13 (on 1st September 2019) are eligible to enter. UK Only. Closing date for entries is 1st September 2019. Entries can now be prepared ready for the 2019 Stamp Active Competition. 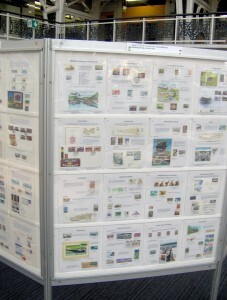 Entries are displayed at BOTH the Spring and Autumn Stampex Exhibitions at the Business Design Centre, Islington, London, N1 0QH. THE STAMP ACTIVE COMPETITION, sponsored by the Great Britain Philatelic Society and Stanley Gibbons Ltd, was introduced in 1998 in the national competitions to encourage new entrants. The equivalent of an “Open” class, it allows a minimum of four pages (rather than sixteen for the British Youth Stamp Championships) but can then be increased to up to 24 pages. It is judged on presentation and originality (not FIP rules). Medals are awarded in the same way as other competitions for every entry. 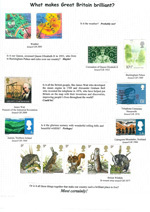 There is a prize of £30 voucher for the winner in each class to be used for philatelic items. Second place wins £20 and third place £10. 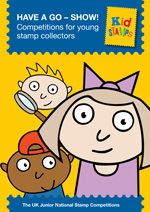 This is a great way for young collectors to start their journey in stamp competitions. The best overall entry receives an additional £50. Latest Date for submission of entry forms is: Friday 12th July 2019. Closing Date for sending in your completed display is: Friday 19th July 2019. .Autumn Stampex takes place from 11th to 14th September 2019. Please note there will be no Spring Stampex in 2020 because of the London 2020 International Exhibition in May. Click here for a copy of the Stamp Active Competition Rules. Click here for a copy of the Group Entry Form. Entries are now invited for the 2019 British Youth Stamp Championships. Entries are displayed at the Autumn Stampex Exhibition at the Business Design Centre, Islington, London, N1 0QH from 11th to 14th September 2019. 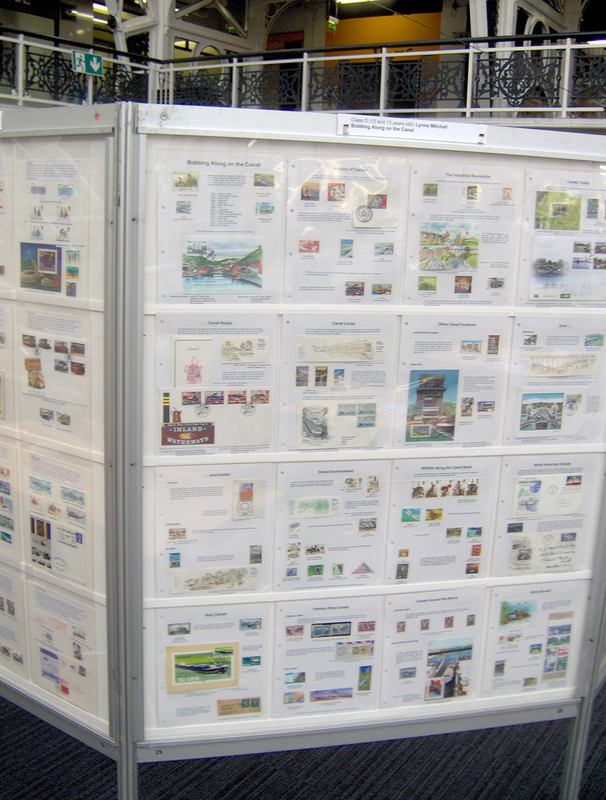 The British Youth Stamp Championships are organised by Stamp Active Network, sponsored by Stanley Gibbons, and the entries are displayed at Autumn Stampex as part of the National Competitions.The Championships are open to all young collectors up to the age of 21 normally resident in the United Kingdom. It is this competition that qualifies youngsters for international competitions. The best overall entry receives a prize of a £100 voucher to be used for philatelic items and each age group winner receives £25. Latest Date for submission of entry forms is: Friday 2nd August 2019. Closing Date for sending in your completed display is: Friday 9th August 2019. Autumn Stampex takes place from 11th to 14th September 2019.